There is incredible interest from clients and accountants about a relatively new form of deed recently allowed in Washington State, the transfer on death deed (a “TOD deed”), which is designed to allow property to pass outside of probate. Transfer on death deeds can be a useful tool, but they have failed to gain widespread acceptance so far, with good reason. To analogize to air travel, TOD deeds might be the “blimp” of estate planning. Sure, they’re great over football games, but most people would rather take an airplane! Before we dive into the pros and cons of transfer on death deeds, it’s important to understand what they are and how they work. Under the Washington Uniform Real Property Transfer on Death Act (RCW 64.80.010, if you’re curious), the owner of property can create a TOD deed, which transfers the property upon the owner’s death. To be effective, a transfer on death deed must be recorded at the county courthouse, but it does not convey any interest in the property until the owner dies. This allows the property referenced in the TOD deed to pass outside of probate. Paying for a TOD deed could be a complete waste of money. Let’s say you pay your attorney to draft a transfer on death deed and pay to record the deed with the county. Years later, you sell the property referenced in the TOD deed so that you can buy a sailboat and sail the oceans in your golden years (or pay for a good assisted living facility). The money you spent to draft and record that TOD deed is simply lost. There is usually no way to salvage the legal fees spent on drafting a TOD deed for property you later sell. In contrast, a will that gives all of your assets to your kids still might work just as well if you sell your house and buy a sailboat. Wills can be amended, but TOD deeds can only be revoked. TOD deeds put private estate planning in the public eye. A will is filed with the court after death, but TOD deeds must be recorded while the property owner is still alive. Do you really want to tell the kids that the house is going to your new husband (or wife), or vice versa? Do you really want your neighbors to know that your stepchildren aren’t getting your property? It’s none of their business, but with a transfer on death deed, it becomes publicly available information. Even worse, revoking a TOD deed can only be done with a document that is recorded with the county. Do you really want your kids to know that your second spouse was going to get your house, but then you changed your mind? TOD deeds create a public record of your decision making. TOD deeds don’t completely avoid probate. Fears of probate are greatly overblown in Washington State but, even if avoiding probate is your goal, TOD deeds are not a complete solution. Sure, the property described in a transfer on death deed passes outside of probate, but the recipient of this property could be held liable for claims against the property owner’s estate. One of the most important benefits of probate is that it is an excellent tool for eliminating debt. This debt follows the property unless it is handled in probate. For most people, this means that probate is still necessary. Since probate cannot be avoided completely, the question is whether a TOD deed is significantly cheaper or more efficient than transferring property through a probate that was already open anyway. In our experience, the costs of transferring property within and outside of probate are often about the same. For most folks, TOD deeds don’t offer significant tax benefits. Asset protection and tax planning are complex issues beyond the scope of this article but, generally, transfer on death deeds don’t reduce taxes. TOD deeds can complicate future estate planning. Sometimes a client walks through my door who has lost some of their old estate planning documents. A missing will is a manageable problem, because any new will usually completely and automatically replaces a prior will. 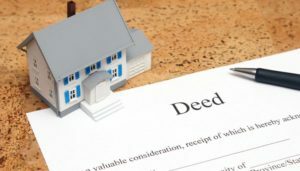 However, a new will probably does not change a TOD deed, so a long-forgotten transfer on death deed could significantly alter how property is distributed in potentially surprising ways. TOD deeds can inject uncertainty into estate planning. The Washington Uniform Real Property Transfer on Death Act is only five years old. There is almost no case law interpreting how this statute interacts with other parts of Washington law. Depending on your situation, this could increase the possibility that your estate plan—yes, you!—could be a “lucky” test case for how Washington courts will interpret the Act. Having the newest smartphone or wearable gadget is great. Being an early adopter in the world of estate planning does not always come with similar benefits. Under a TOD deed, the children of a beneficiary who dies before the property owner get nothing. Imagine a “typical” will where a property owner, Wanda, leaves her estate to her three sons, Abe, Bob, and Carl. These sons have children of their own. Now imagine that Abe dies before Wanda. Under most wills (although this could be changed), Abe’s kids would get Abe’s share of Wanda’s estate. Under a TOD deed, Abe’s kids would receive nothing, and Bob and Carl would each get half of the property. For many people, this seems like an unfair result, but the Act does not make TOD deeds flexible enough to handle this contingency. TOD deeds have even more challenges if the property transferred through the deed is community property which, like tax planning, are beyond the scope of this article. In some circumstances, transfer on death deeds can be a useful part of a comprehensive estate plan, but they are not commonly used for good reason. To learn more about transfer on death deeds and estate planning in Washington, contact the attorneys at Basalt Legal, PLLC. We serve estate planning clients across the State of Washington from our offices in Walla Walla, and can be reached at 509.529.0630. This article is for general informational purposes only, and should not be relied upon as legal advice because every legal situation is different, and we do not update articles on our website to reflect changes in the law, so this information could be out of date. You should not act on this information without first consulting legal counsel.